This basic introduction to wine was inspired by a 6-week course given by the author at Books & Books, a noted bookstore in Coral Gables, Florida. I emphasize the word “Basic,” since this book is essentially an introduction to wine. Topics include tasting wine, making wine, history of wine, description of varietals with literary pairings, and food pairing are covered succinctly. There are better books available on all these topics, but this guide offers accurate, brief synopses. The book is replete with quotes and facts, accompanied by a few tables. Many common wine terms are defined. Some statistics are outdated as is common with books: the number of Oregon wineries is stated as 544 and there are now over 700 wineries in Oregon. 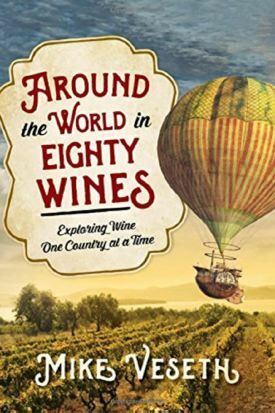 Accomplished wine writer, Mike Veseth, uses Jules Verne’s Around the World in 80 Days as his inspiration for this historical travelogue. Veseth is an authority on global wine markets and publishes The Wine Economist, a highly-rated wine blog at www.WineEconomist.com. The book is written in an academic style in the context of the history of many major wine regions of the world. Both major wine countries like France, Italy, Spain and North America are on the itinerary as well as countries less well known for wine such as Lebanon, Thailand, India and China. Veseth is an extremely good writer with a wealth of wine knowledge. Still, this book is in introduction to the world’s wine regions and readers will need to look elsewhere for in-depth coverage. That said, even the most accomplished connoisseur will enjoy the trip. Richard Chilton, Jr., is a vineyard owner in the Napa Valley and a partner in Hourglass Wine Co.. This book represents a compilation of the wine experience he has accumulated over the past forty years. 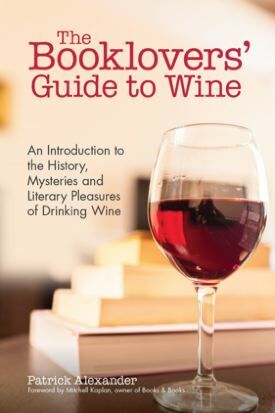 There are introductory chapters on buying wine, storing and collecting wine, tasting wine, wine fraud, deciphering a wine list and how wine is made, but his book is primarily a reference book with the body devoted to “Benchmark Wines.” Many classic wines include a detailed three-to-four page description of the producer and the producer’s key wines and best vintages. The emphasis is on Bordeaux, Burgundy, Champagne, and Napa Cabernet Sauvignon. 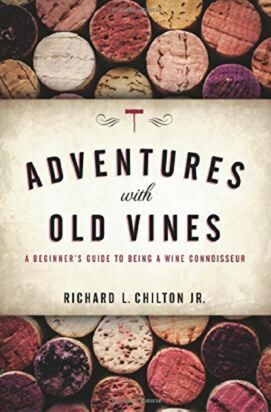 This part of the book would prove to be a valuable reference for those wanting to purchase older wines from some of the world’s most notable producers. A few more books: The New Wine Rules: A Genuinely Helpful Guide to Everything You Need to Know, by Jon Bonné. 9000 Years of Wine: A World History, by Rod Phillips. The Wine Lover’s Daughter: A Memoir, by Anne Fadiman. Wine Revolution: The World’s Best Organic, Biodynamic and Natural Wines, by Jane Anson. The Dirty Guide to Wine: Following Flavor from Ground to Glass, by Alice Feiring.